There is excitement at Lincoln City and why wouldn't there be? Top of the table and playing to sell-out crowds at Sincil Bank, the club's new training ground is open and the team is flying. There is every reason to hope that after recently spending half a dozen seasons in non-league, the next campaign will kick-off in the third tier for the first time this century. The changes to the club - even to the city - are noticed most by those who have lived it such as 33-year-old midfielder Lee Frecklington who returned for his second spell with his boyhood club last season. "I remember 15 years ago when I first started we never knew where we were going to train from one day to the next," he tells Sky Sports. "The club has come on in so many different aspects. The way that Lincoln do things off the pitch now is up there with the Championship clubs. The sport science department is so much more advanced than it was back then. There is also a bigger fan base now." Support can be latent, gates depressed through apathy, but actually increasing a fan base? That takes some doing but anecdotal evidence suggests that is precisely what has happened under brothers Danny and Nicky Cowley. Lincoln has fallen in love with its football club. "I moved back to the city the year before I moved back to the club and the buzz about the place was unbelievable," adds Frecklington. "I was speaking to people who years earlier weren't even interested in football but because of the work that Danny and Nicky have done in the community and off the pitch, everybody seems to have an interest now." There are many factors in Lincoln's revival but given the results it is difficult not to centre the story on the Cowleys. The pair oversaw promotion to the Football League in their first season, also taking the team to the quarter-final of the FA Cup. The Checkatrade Trophy followed in April. They have created a culture of hard work that any club would envy. "I have never worked under anyone who works as hard as them," says Frecklington. "They eat, sleep and breathe football. The amount of homework, the research that goes into the opposition, the amount of analysis that we do, is the most I have ever had. I honestly don't think there are two people who work harder than Danny and Nicky Cowley do." Frecklington is not alone in that assessment. Fellow midfielder Tom Pett tells a similar tale. He first came across the Cowleys while playing for Wealdstone, getting a little peeved by the young coaches bellowing their orders from the touchline. "They were onto the players the whole time trying to motivate them and that hasn't changed one bit," Pett tells Sky Sports. "Danny always tells us not to let him be the most motivated person here, but he is, every single day. He and Nicky give everything for this club and it shows on the pitch. They are two of the most motivated people I have met and it rubs off on players when you have someone telling you how good you are and, more importantly, showing you how good you are." The Cowley brothers place huge emphasis on video analysis. Pett spent his formative years in non-league but even for those more familiar with life higher up the pyramid, this is either a new experience or one which they are unaccustomed to exploring in such depth. But the pair have a way of carrying people with them and the gains are there for all to see. "Every Monday we come in and go through the game and whether we have won 5-0 or lost 5-0 there are no short cuts," says Pett. "You spend a lot of time sat in a classroom. You can look at it and think it's boring or you can look at it from another point of view and try to learn. That is how I look at it, like it's a training session. Everything is there for us to learn. "Every team has a place where they create chances and you can create against them. Every team has an opposition player who is weaker on the ball than others. We always know who to leave on the ball and who to stop getting the ball. It is a game of denial, they like to say. That's been a big factor and I'm not sure there is any other team that puts in more effort." That effort is being rewarded as Lincoln march on. 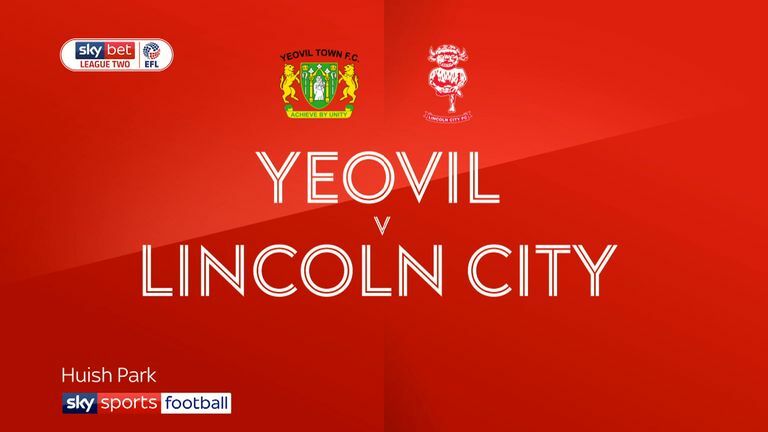 Victory at Yeovil on Tuesday followed a big win in the derby against Grimsby last weekend. 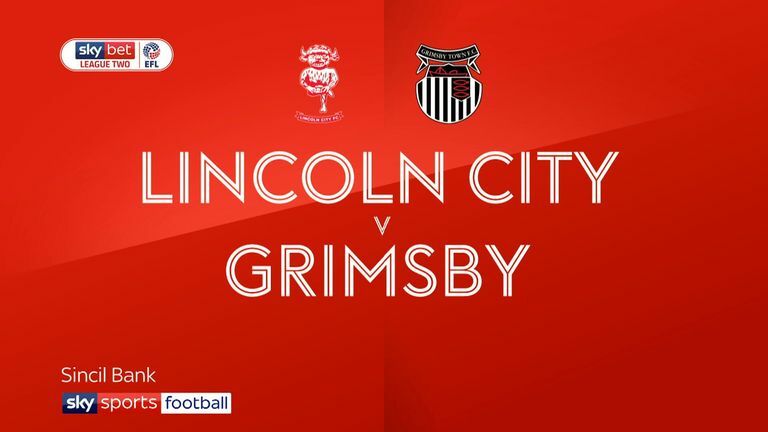 That game was played out in front of yet another big crowd of almost 10,000 fans at Sincil Bank and there will be many more like that if the Imps can complete the job and seal their promotion. "When you have a whole city pulling together like that it can only help," says Frecklington. His team-mate Pett agrees. "I know how much Lincoln means to the fans," he adds. "You feel it when you are out and about. We just have to keep them happy and keep getting good results." Starting with a trip to second-placed Bury live on Sky Sports this Saturday.